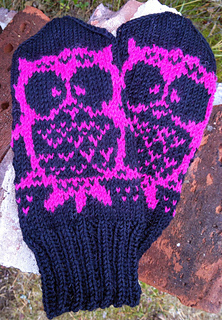 Ravelry: Tiny Owl -mittens pattern by Milla H.
Tiny Owl -mittens by Milla H.
patterns > Sitä kuusta kuulemine, minkä juurel koti on. 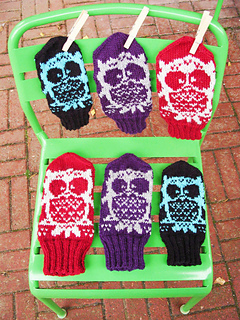 Here are my instructions to owl -mittens. I tried to find pattern but couldn’t find a free one, so I designed it myself. The size is quite large because I like to wear 2 layers of mittens in the winter. Use thiner yarn and needles if you want smaller mittens.